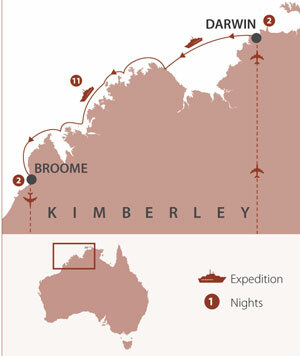 Receive over AU$3,000* travel credit per couple on your polar adventure! Travelling to the polar regions is an adventure of a lifetime. To ensure you make the most of your adventure, we're giving you the chance to add more to your itinerary... for FREE! * Book your 2019/20 Antarctic or 2020 Arctic adventure by 30th September 2018, and you'll receive complimentary travel credit to use toward a range of Polar Perks, to help you build the itinerary that's best for you! Book before 30th September to receive this fantastic offer! Inflight Travel now has package prices available for the 2018 Mitsubishi Motors Australian International 3 Day Event – being held at Adelaide 16th to 18th Nov 2018. You can book 3 and 4 night packages - please refer to the links below. We can do longer stays if you wish and we can also book your flights from your home city to Adelaide and return. Half Board Plus: Includes breakfast daily plus a choice of lunch or dinner, accompanied by a maximum 3 hour open bar with the meal. The open bar includes standard drinks such as beer, local spirits only & non-alcoholic. 01 Aug 18 – 31 Mar 19 Inclusive dates. 06 Feb 19 - 27 Feb 19 & 04 - 31 Mar 19 Inclusive dates. Half Board Meal Plan - buffet breakfast & dinner at the Edge Restaurant. Complimentary use of snorkelling gear, steam bath, the yoga and meditation deck, & free access to the Beach Club. Complimentary use of the resort’s pool table, foosball table, table tennis, PlayStation & more.